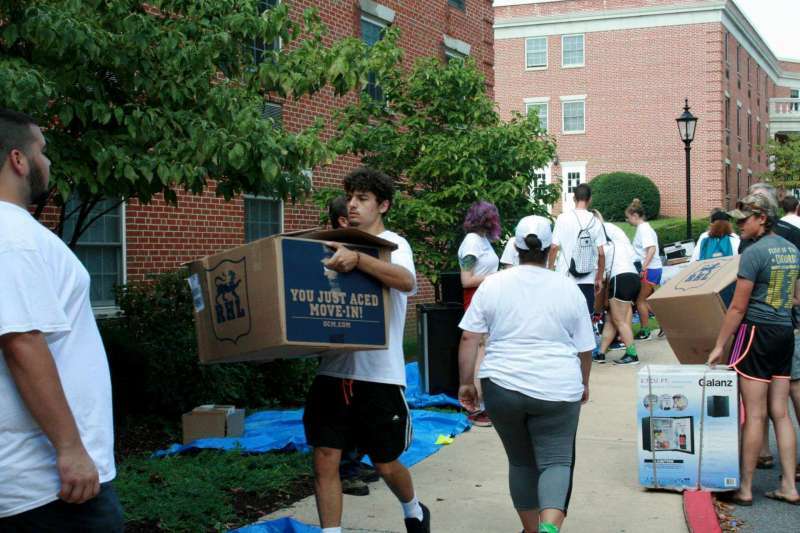 Shepherd University’s newest residence hall is available for first-year students! Potomac Place is a suite-style living where no more than 2 people will share a bathroom with double and single occupancy options available. Check it out here! West Campus Traditional Halls are in the center of campus. If you like to be in a central location of campus where you are near the Wellness Center and not too far away from classes, then this is the place for you. Many of our art and music majors may choose to stay in these halls due to convenience. First Year Honors students may be given special permission to live in Martin Hall, which is a suite-style building, as space permits. To learn more about this opportunity, please call our office at 304-876-5172. For more information, read our Resident Agreement 2019-2020. You will receive 300 meals per semester and $200 dining dollars. Meals do carry over from week to week. You will have all 300 meals until they are used or the end of the semester depending on which comes first. This meal plan can be used in the Dining Hall, Ram’s Den, Riverside Market, Fireside Bistro, and the Wellness Center. You will receive 19 meals per week, $75 dining dollars, and an additional 8 bonus meals for the semester that can be used at your discretion. Meals will not carry over from week to week, but you are able to use one additional meal at designated meal periods. You will receive 15 meals per week, $125 dining dollars, and an additional 8 bonus meals for the semester that can be used at your discretion. This meal plan can be used in the Dining Hall, Riverside Market, Ram’s Den, Fireside Bistro, and the Wellness Center. Please note that the $100 housing deposit is not the $100 enrollment deposit that you may have paid as an “enrollment deposit” to be admitted to Shepherd University. Check out our residence halls. Learn more about the on-campus experience.